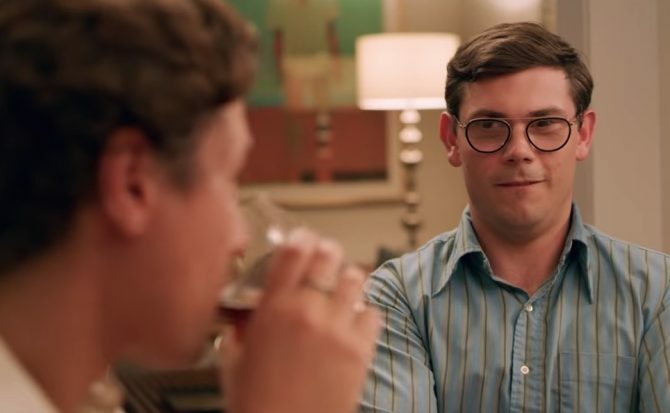 Netflix has released the trailer for its latest gay-themed series, Special. Adapted from Ryan O’Connell’s book, I’m Special: And Other Lies We Tell Ourselves, the eight-episode series produced by Jim Parsons’ That’s Wonderful Productions chronicles the ups and downs of a gay man living with cerebral palsy. O’Connell, who is gay and disabled in real life, is also set to star as the show’s protagonist, which we learned was never part of his original plan when he began working on the series. “I never wanted to star in Special but—and this make shock you— the world is not exactly swimming with gay 20-something actors who have mild cerebral palsy,” O’Connell told Queerty. Read our full interview with O’Connell here. This sounds a lot like the drama/comedy movie I could totally immerse myself in. Good going! He is adorable and will make a great role model for gay men everywhere who are different but able and everyone who feels different. I myself am bipolar and overweight and have never felt like I belong in the gay community. Shows like this give me hope for our future. Ok this looks cute. Will have to give this a watch. He’s so friggin’ hot I could scream. Just LOOK at him! I just want to splash some Cool Whip® on him and eat him up.